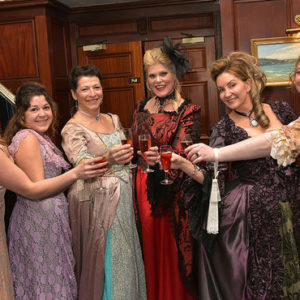 We are delighted to announce the Poldark Costumed Ball on 1 June 2019, incorporating a luxury stay at an historic hotel with a history that mirrors the fortunes of the mining adventurers of the Poldark era. We have a very strictly limited number of spaces for a unique three night weekend from 31st May to 3rd June. Staying in 4 star luxury. The weekend commences with check in at The Penventon Park in Redruth for a sumptuous dinner, bed and breakfast. 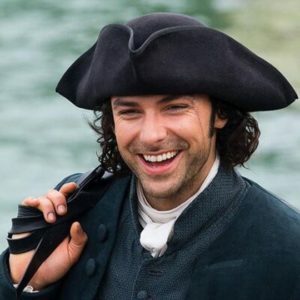 After a delicious Cornish breakfast in beautiful surroundings we take you to visit Ross and Demelza’s farmhouse “Nampara” where we have exclusive access for our guests and afterwards we will visit Charlestown harbour and have a light lunch overlooking the port where so much of the Poldark action takes place. Following lunch we will drive to Truro to see the real life site of the Red Lion and the Lemon Ball before heading back to the hotel to perhaps enjoy the spa facilities and prepare ourselves for the Georgian glamour of a banquet style dinner and dancing in full costume to authentic Poldark music in the surroundings of one of Cornwall’s privately owned historic houses: Trevince, in the heart of Cornwall’s rich mining heritage. 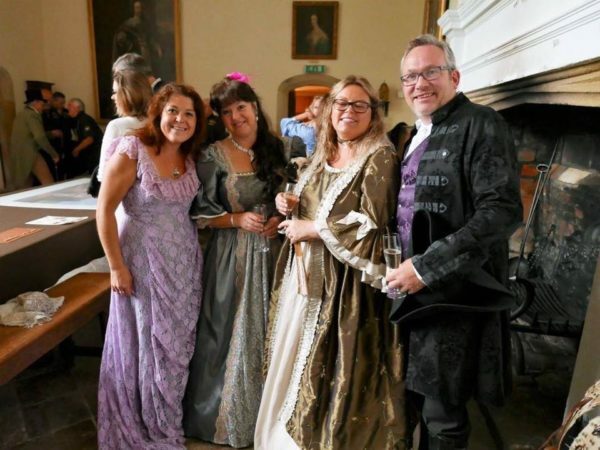 The home of the same family since the 13th century, Trevince hosts this exclusive event to raise money for a new helicopter for Cornwall Air Ambulance and Poldark’s Cornwall has been asked to lend their expertise in pulling off this event to the highest level of authenticity. 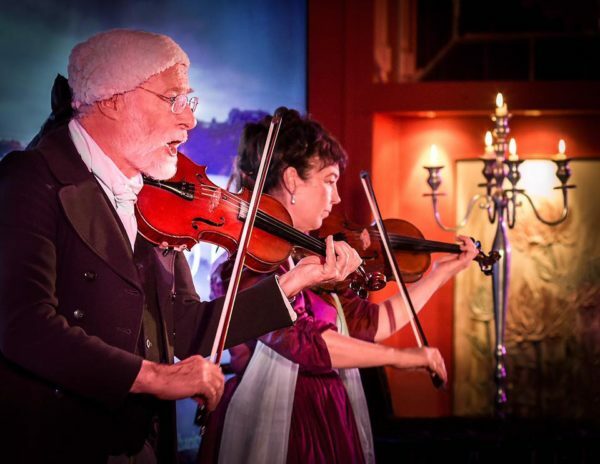 A grand auction will be the highlight of this evening of 18th century glamour. After the Ball, transport will be provided to take you back to your hotel a mere 10 minutes from the estate. No trip to Poldark’s Cornwall is complete without seeing the locations of the far west of the peninsula so we will take you to Penberth Cove, Gwennap Head and Botallack to the breathtaking mines set on the cliff and facing the Atlantic before bringing you back for Dinner, Bed and breakfast in your sumptuous surroundings. Check out of the Penventon and perhaps join one of our Poldark House Parties or perhaps transfer to the beachside and continue your Poldark adventure with us for a few days more. After all, there’s so much more to see. 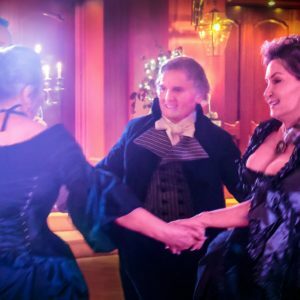 The Poldark Costumed Ball weekend 31st May-3rd June 2019 is fully inclusive except for drinks and lunch and costs £758.00 per person based on sharing a superior twin or double room at the Penventon Park. Should you wish to visit, attend the Poldark Ball and take the tours but not stay at The Penventon then please let us know as transport and accommodation availability may prejudice your chance of a place, but we can certainly try and get you in elsewhere. The banquet and ball is strictly limited to 80 tickets and as many as 50% are already accounted for. Please don’t delay in contacting us! Call on +44 (0)7859803737 or message us direct.